The ministries of commerce and transport increased fares on public transport in Bujumbura on Thursday 12th January, due to the rising cost of fuel. Fares will rise from BIF 300 to BIF 350 in Bujumbura, and by 11% in the rest of the country. The rise in the cost of public transport is a result of the price of fuel, which has gone up because of the 2017 budget. 70% of the national budget of BIF 1 326,9 billion must come from the country’s revenue this year. In 2015, less than 40% of the budget came from national revenue – the rest came from international donors. Since the political crisis that began in 2015, most international aid to Burundi has stopped. “This makes things even worse .You may think BIF 50 is not much money, but it means a lot for people like us. Products ‘prices have been raised but salary has not. How will we survive?”, said a civil servant in Bujumbura waiting at a bus stop who asked to be anonymous. Others have no choice but to walk. “BIF 50 is a lot of money. I’ll be walking to work from home” , a waiter in a bar, who also chose to be anonymous, said. 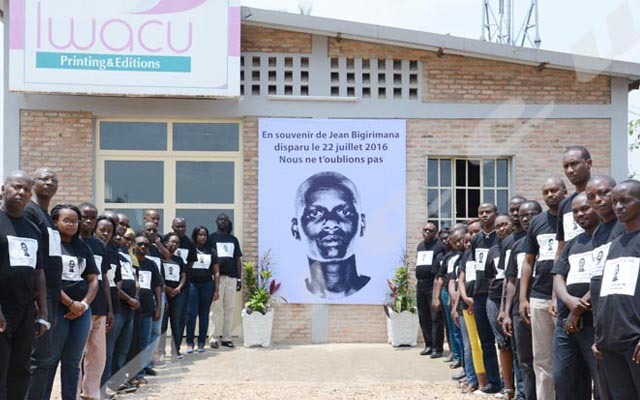 Burundian consumers ‘association ABUCO reacted by warning that sellers may see this as an opportunity. “When transport prices are increased, other products follow. The seller who comes to town by bus may raise the price of merchandise in order to get back his money”, says Jean Noel Nkurunziza, ABUCO chairman. ABUCO is concerned that bus conductors may try to charge even more, and wants the government to supervise them.